There are no records to show who the curates were between 1812 and 1819, and between 1820 and 1824. Fr Slattery, the priest who built the church, retired in 1813 but lived until 1830, and it is quite possible that he carried on in the capacity of a modern day associate pastor. He is buried at the entrance to St Joseph’s aisle. On occasions during the nineteenth century there were two curates officiating in the parish at the same time. In more modern times, both Canon Maurice Morrissey, 1985-89, and Fr James Feehan, 1998-2004, acted as associate pastors, obviating the necessity of a curate. 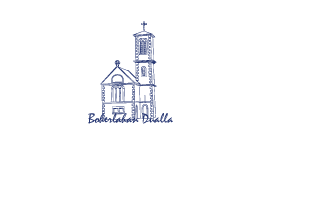 Up to the building of the Parochial House in Boherlahan, the curates resided with the parish priest in Ballinree where he had a residence and 49 acres rented from the Smith-Barry family. In the late 1800s and early years of the twentieth century, the curates resided at Sruhane, now the residence of the Delaney family. The current curate’s residence was built during the second decade of the twentieth century. Fr James Slattery, 1795-1813, last parish priest of Ardmayle-Ballysheehan and first parish priest of Boherlahan-Dualla. Kelly was appointed to Doon and later to Lattin. Ill-health forced him to retire and he is buried with his family in Killenaule graveyard.